BAE Systems has received a contract to produce payload tubes for two of the U.S. Navy’s new Virginia-class (SSN-774) submarines to support increased firepower on the Block V version of the attack subs. Under the contract with General Dynamics Electric Boat, a builder of the Virginia class, BAE Systems will deliver two sets, each consisting of four tubes, for the Virginia Payload Modules on the SSN-804 and SSN-805. The Virginia Payload Module (VPM) extends the length of the Block V submarines over previous versions of the Virginia-class by adding an additional mid-body section to create more payload space for greater firepower. Each large-diameter payload tube can store and launch up to seven Tomahawk cruise missiles. The VPM offers exceptional flexibility as well for the integration of future payload types, such as unmanned systems or next-generation weapons. «The Virginia Payload Module is critical to the Navy’s undersea presence», said Joe Senftle, vice president and general manager of Weapon Systems at BAE Systems. «With the VPM, the Navy is adding significant capability to the Virginia-class by increasing the firepower of these subs and tripling their payload capacity». 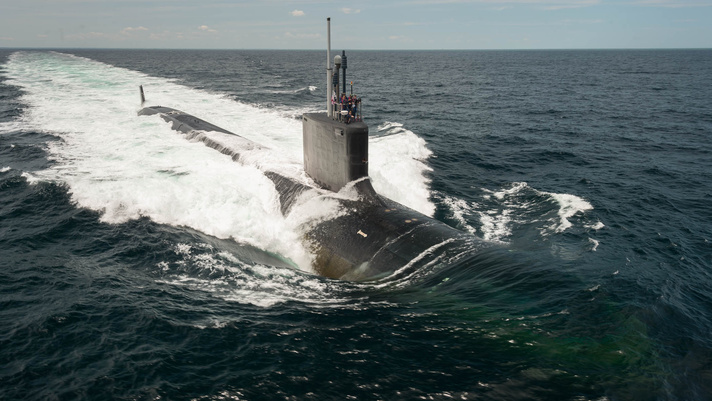 BAE Systems, which is also providing payload tubes for the SSN-803 under a previously awarded VPM contract, has a long history of supporting the Navy’s submarine fleet as the leading provider of propulsors and other submarine systems. The company was selected to provide propulsors, spare hardware, and tailcones for Block IV Virginia-class vessels and stands ready to provide the same support for the Block V subs. Under this most recent contract, BAE Systems will also develop the processes and tooling necessary for the Block V payload tube production. Work will be performed at the company’s facility in Louisville, Kentucky, with deliveries scheduled to begin in 2020. BAE Systems has received a contract from General Dynamics Electric Boat to begin work associated with the production of Virginia Payload Module (VPM) tubes for Block V Virginia-class (SSN-774) submarines. This initial award will fund work surrounding certification, special tooling, and other items related to production readiness. The VPM is an additional mid-body section being integrated into the U.S. Navy’s Virginia-class submarines, beginning with the second boat of Block V. It contains four large-diameter payload tubes, each capable of storing and launching up to seven Tomahawk cruise missiles. Accessible while at sea, the VPM also offers an unprecedented amount of flexibility in the potential integration of future payloads. 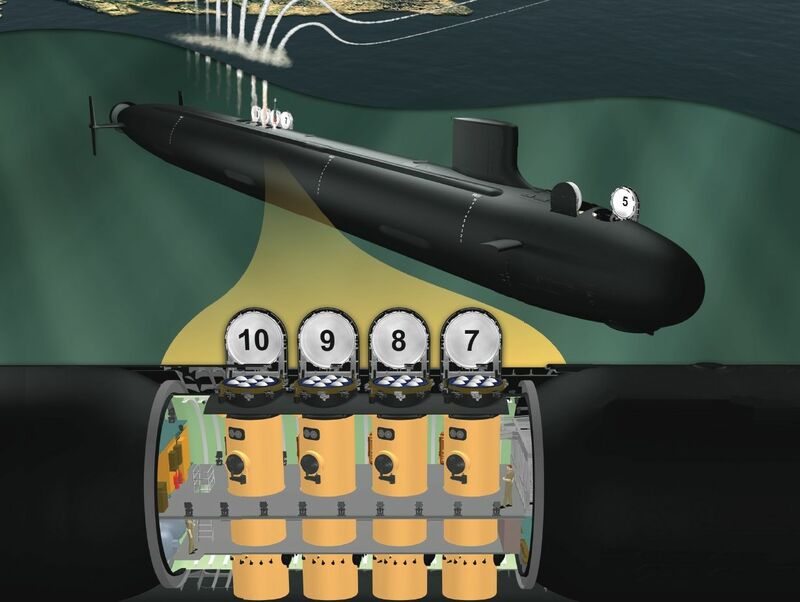 «The new Virginia Payload Module will bring an additional 28 missiles to each Virginia-class submarine, tripling their payload strike capacity», said Joe Senftle, vice president and general manager of Weapon Systems at BAE Systems. «Increasing the firepower of the Virginia class is a cost-effective way for the U.S. Navy to maintain its strike capability after its four SSGN guided missile submarines retire». BAE Systems has a long history of supporting the U.S. undersea fleet as the leading provider of propulsors and other submarine systems. Earlier this year the company announced it was selected to provide propulsors, spare hardware, and tailcones for Block IV Virginia-class submarines. Work on the initial award will be performed at BAE Systems’ facility in Louisville, Kentucky. Contracts for the launch tube production are expected in early 2017, with deliveries through 2019.